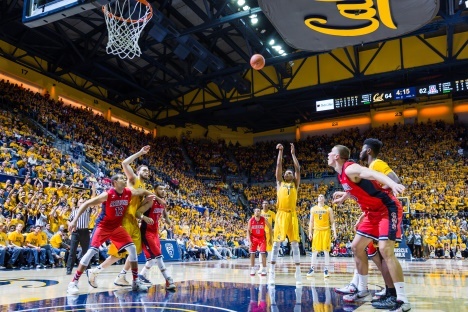 Cal Men's Basketball hosts Cal Poly at Haas Pavilion. Please join UCB MCH Faculty, students, alumni and friends in honoring Dr. Cheri Pies and her dedication to Maternal and Child Health! The event features a delicious brunch, and networking opportunities, as well as recognition of Professor Pies and her work. The event is open to alumni, current and prospective students, faculty, friends of the MCH Program, and guests. Registration info: Registration opens October 1. Register online by November 8. The UC Gill Tract Community Farm is open to the public every Sunday-Thursday. Everyone is welcome! Please enter through the gate on Jackson St or the gate at San Pablo and Marin, during open hours. Have you ever thought about writing a novel, but just didnt think you had the time? Youre not alone. Working on an academic writing project and need help with productivity? Join us for NaNoWriMo 2017 at UC Berkeley, and write with fellow participants, students and colleagues in a supportive setting at Doe Library during National Novel Writing Month! Gogol meets Chaplin in this riotous, scathingly antibureaucratic satire, one of the eccentric high points of Soviet silent cinema, filled with expressionist décor, askew camera angles, and even puppetry and animation. Tetzlaff Quartet performs Sunday, November 12, 2017 in Hertz Hall. Festival of South African Dance featuring The Gumboots and Pantsula Dance Companies takes place on Sunday, November 12, 2017 in Zellerbach Hall. Barber, Brahms, Chihara, Copland, Elgar, Ellington, Fauré, Holmes, Luzzaschi, Messiaen, Monteverdi, Schickele, Starer, Stanford.